Make it easy, fast and free! Create your own labels online and then download a PDF of a sheet of labels you can print yourself. • There is no software to download. There is no need to create an account and login. You do not need to laboriously copy your information across each label spot on the sheet. 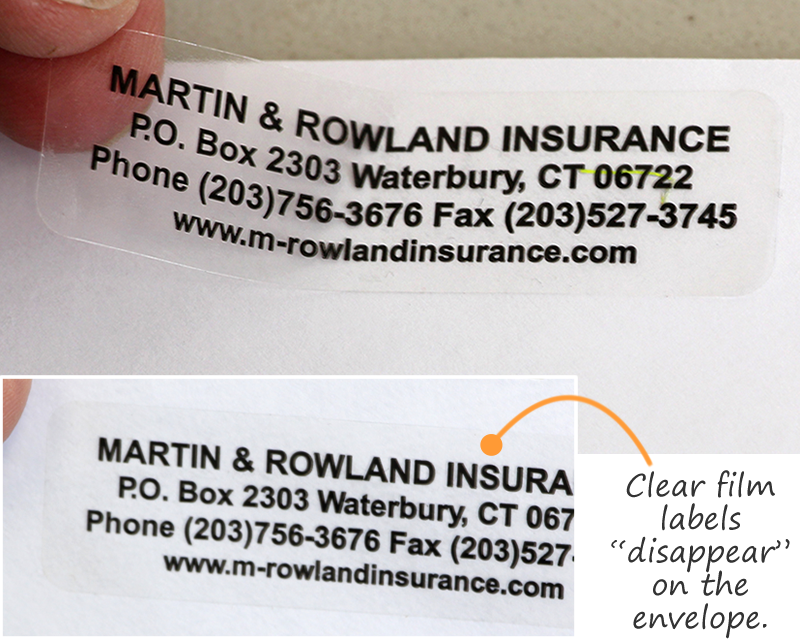 • Use standard Avery blank label stationery to print your own labels. We also offer a range of high end blank label stationery that can be used, too – including a gorgeous brushed metal sheet, a high-tack label sheet (used for rugs and other hard-to-stick-to materials) and a sheet of iron-on labels that is great for fabric. 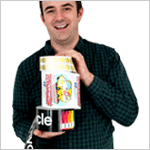 • Or, ask us to print the labels for you. We offer a wide range of specialized materials that are not available elsewhere. Prices start at $18.95 for 500 labels. Labels feature a clear “no-look” vinyl material. 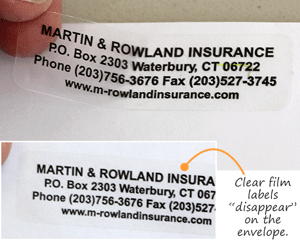 Download your own free PDF of a sheet of address labels. Use a standard Avery 5195 label sheet or order our high-end label stationery for greater durability. 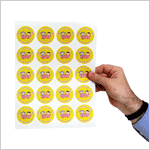 Or, you can also ask us to do the printing and save all of the hassles. 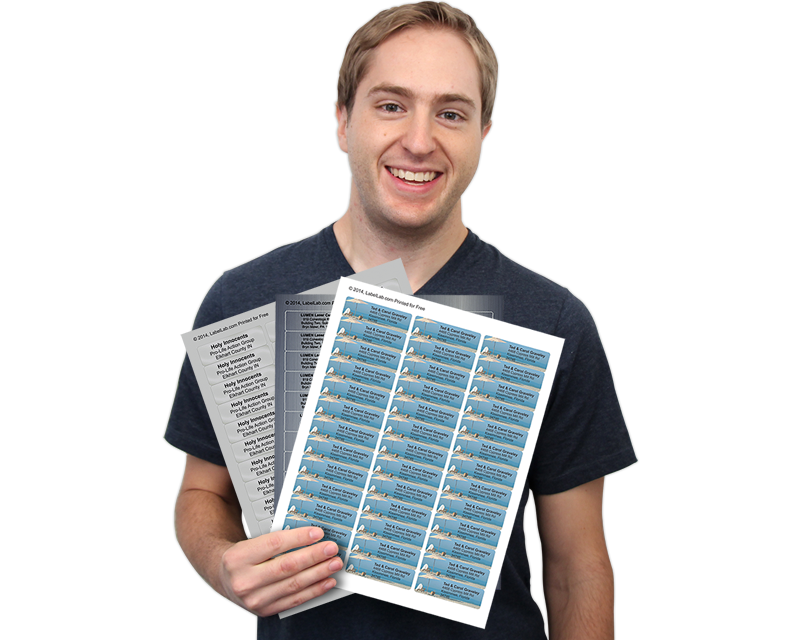 Create your own address labels online and then download a PDF of a sheet of labels you can print yourself. Use a standard Avery 5160 label sheet or order our high-end label stationery for greater durability. Or, you can also ask us to do the printing and save all of the hassles.